“You can teach the technical knowledge but you cant teach a great eye.” –Mark Tobin. Eyes play an important role in identifying the artistic detail such as light, shadow and texture.Visual effects are judged on three main criteria, accuracy and photorealism-visuals should be realistic to such extent that the audience should accept it as reality. Second is the artistic expression. This happens when the artists are not limited economically. And lastly, its successful story telling – an artist can create a compelling story with a huge range of emotion. The industry relies on artistic vision and technical excellence equally. 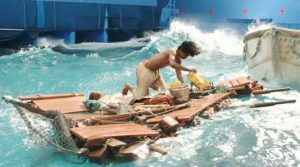 You have to obey certain rules to make visual effects believable using lighting and physics but ultimately to work needs to serve the story at all cost. A great visual effect work will support and tell a story through aesthetic visuals created by making innovative use of technology. The visual effect needs to look photo real in-order to be effective. Visual effects are expected to look seamless and accustomed to a high level of detail and realism. The context is the actual king, the location, its narrative implications affects the viewer in true sense. 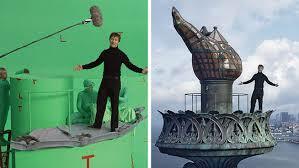 Visual effects should be well woven into the film making using new technologies; the final shot should appeal the audience so that they believe what they see onscreen. The quality of the story, performances and directors vision brings the scene into reality. An overdose of visual effects will only add weight on the senses of the audiences and may derail them off the storyline. Visual effects should be done wisely as per the requirement and not just for begging the attention of the people. One should pay more attention on creating a balance between uniqueness, art direction and technical prowess. So here were some mind boggling tips to be kept in mind while creating visual effects to learn more and to become an expert in the industry learn from the experts at Best 3D Animation and Visual Effect Training Institute in Kolkata….Maac Kolkata.